Nobody likes a cranky kid — whether they're a baby or an 18-year-old — and though there are plenty of factors that can contribute to a bad mood, not enough sleep is more times than not the main culprit. At each age, parents face challenges when it comes to putting their child to bed at an appropriate time, making sure their child is napping enough or not too much so that they sleep through the night, and ensuring that they're getting their homework and extracurriculars in before it gets to be too late at night. Not only is it a relief for you to get your kids to bed at a regular time every night so you can hopefully get some me time in or get to bed early yourself, but how much sleep your child is getting on the whole affects more than just their (and your) mood — sleep is one of the most important factors contributing to a child's healthy development. "Babies, children, and teens need significantly more sleep than adults to support their rapid mental and physical development," says the National Sleep Foundation. 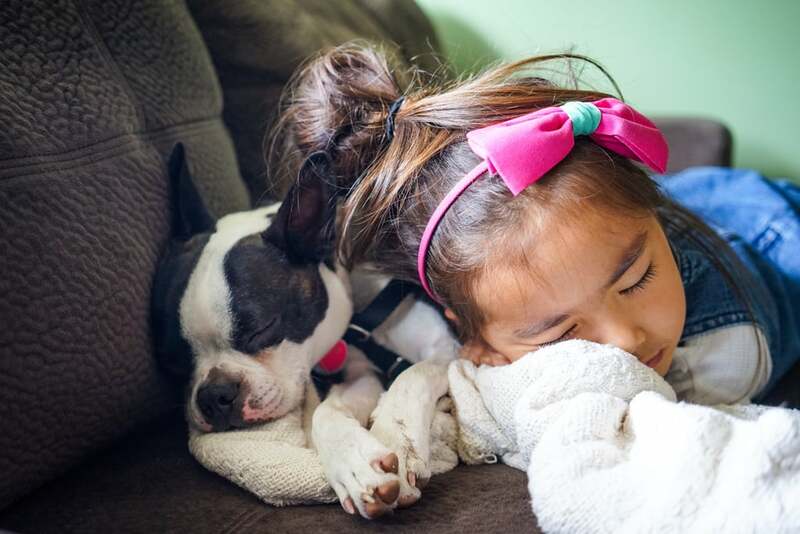 "Most parents know that growing kids need good sleep, but many don't know just how many hours kids require and what the impact can be of missing as little as 30 to 60 minutes of sleep time." Additionally, a study conducted at Queensland University of Technology in Australia found that children who are able to soothe themselves back to sleep by the time they are 5 years old tend to have an easier time adjusting to school compared to kids with issues sleeping, and that one-third of kids have sleep problems that led to emotional and behavioral issues in the classroom, including a greater risk of developing attention deficit disorder. To help aid you through whichever season of parenting you're in, read through for the National Sleep Foundation's guidelines for how much sleep babies and kids need in order to be fully rested, as well as ways to ensure they're getting enough (and if you're concerned that your child isn't getting enough sleep, consult your pediatrician to ensure there isn't an underlying sleep disorder or another medical condition at play). Nobody likes a cranky kid — whether they’re a baby or an 18-year-old — and though there are plenty of factors that can contribute to a bad mood, not enough sleep is more times than not the main culprit. At each age, parents face challenges when it comes to putting their child to bed at an appropriate time, making sure their child is napping enough or not too much so that they sleep through the night, and ensuring that they’re getting their homework and extracurriculars in before it gets to be too late at night.